ADAS and AHDB are seeking industry representatives to join a new farm network focusing on the use of grass and herbal leys. Farmers, interested individuals and organisations are invited to join the network which will provide a platform to investigate the long-term impacts of leys in rotations. To launch the initiative, a free meeting is being held on April 19 at Coventry Rugby Club for those interested in taking part. It will include a morning workshop with speakers discussing current knowledge on rotational benefits of leys followed by an interactive session where participants are invited to help steer and prioritise the activities of the network. ADAS Soil Scientist Lizzie Sagoo said: “This is a great opportunity for farmers and researchers to work together to identify the longer-term benefits of leys. We are particularly keen to hear from farmers willing to take part in future projects who have, or are considering introducing, grass or herbal leys into their rotations. “A focus will be impacts on soil health and the potential for using leys for blackgrass control as well as the practical and economic considerations of including grass or herbal leys in arable rotations. The launch meeting is free to attend and open to all, however, registration is required as places are limited. Email GrassLeys.Network@adas.co.uk or phone 01954 268 200. 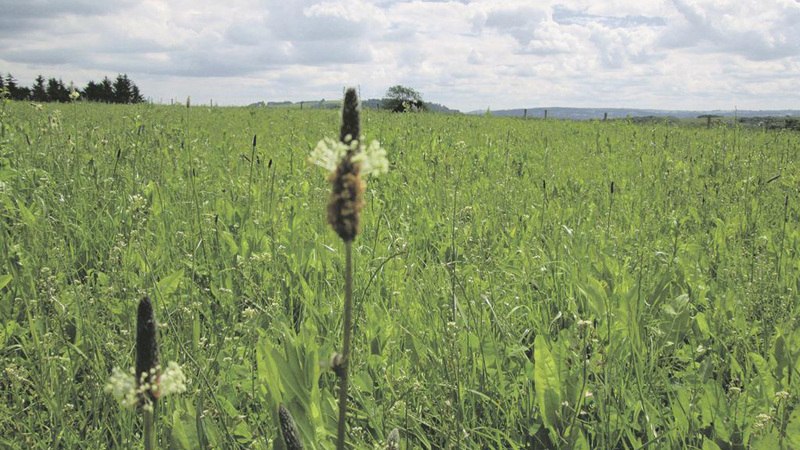 To register to join the grass and herbal leys network, please click www.smartsurvey.co.uk/s/grassandherballeysnetwork/ to complete a short questionnaire on your use of/interest in grass/herbal leys.